I am perfumed. 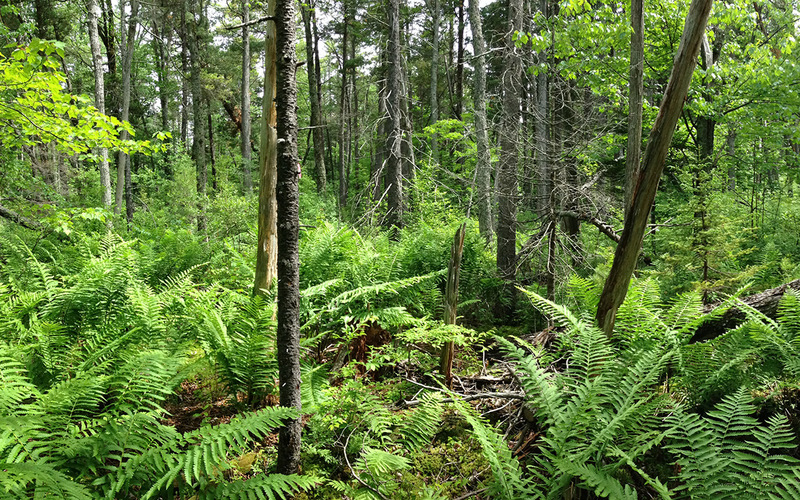 We’ve just finished coring in a forested swamp dominated by Atlantic whitecedar trees. It was a kind of paradise. The humidity had dropped and all day long the Sun was highlighting the fresh green foliage of early summer. And I was perfumed. Swamps are often not a destination. I would imagine they still connotate many negative things for many people. They did for me a couple of decades ago. I recall a field class where we visited a wetland. I peered in, keeping my feet dry, keeping my eyes on the tall vegetation we were passing by. You never know what you will find in a swamp. I’ll tell you what you will find: odd and amazing plants; Wondrous trees; Sometimes a creature or two; Perfume. 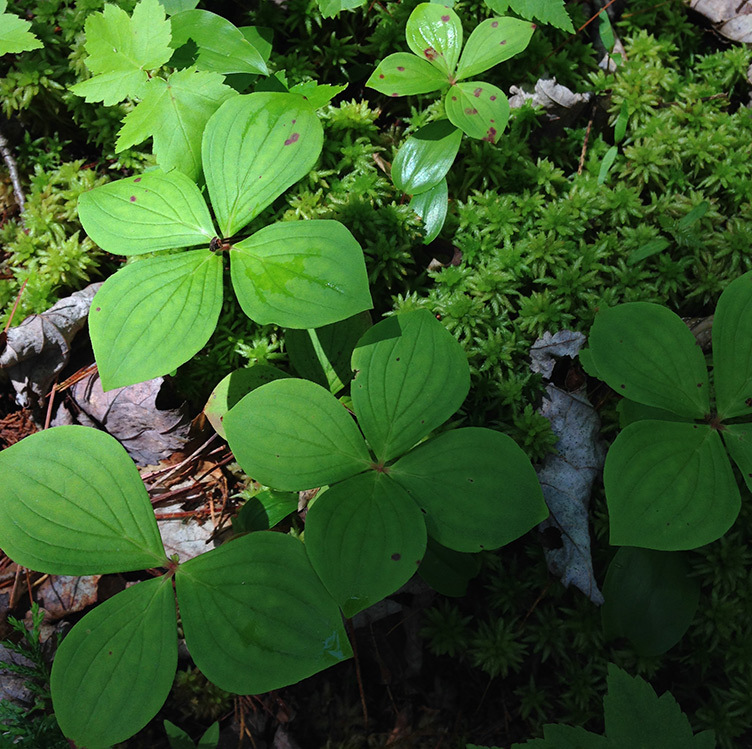 A bouquet of bunchberry and red maple. Research a few years ago suggested that going for a hike in the forest was good for our health. When I saw the headlines, I was a bit skeptical. These days, with more hindsight, it is clear the Japanese term for this activity, ‘shinrin-yoku’, captures its spirit – forest bathing. When it is mosquito season and we head into the forest, a shower is one of the last things you want to do in preparation. Ingredients in soap and shampoo can be mightily enticing to all kinds of biting insects. Almost all of us were using DEET-based repellent at the beginning of camp. When the repellent started melting our plastic pencils such that we could leave our fingerprints in their surface, most of us moved away from DEET-based products. The best solution was to shower once a week (at most). So on this morning, after experiencing a heavy mosquito load just three days prior, I left the house without showering. And yet now, just a few hours of leaving the forest, I am perfumed. What the heck am I talking about? I have no idea. You’ll have to trust me, but there are some amazing scents in swamp forests. 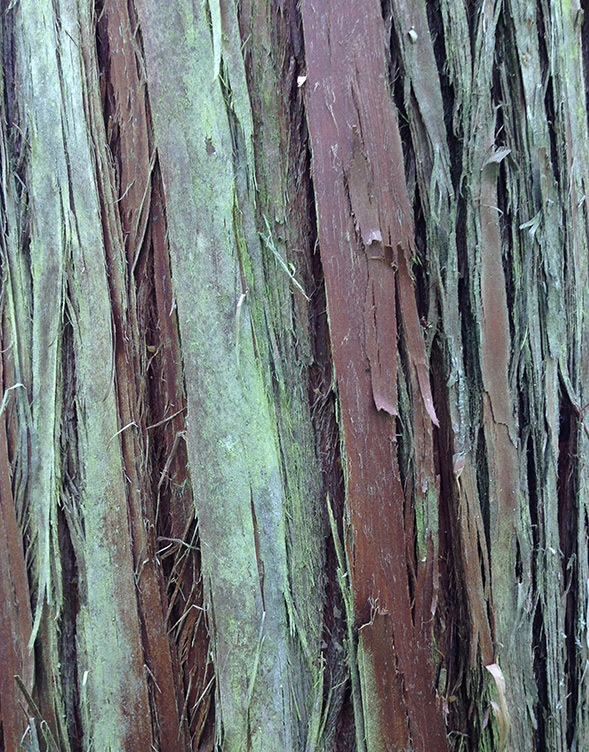 Atlantic whitecedar have their own scent that spritzes the landscape with its essence through the shedding of leaves and bark each year. Adding both base notes and highlights to the Spice du Swamp, this swamp was also full of eastern white pine, eastern larch (or, my fave name for larch: hackmatack), spruce, holly, pitcher plants, etc. Though a former coniferphile, I will concede that the scents offered by conifers are a bonus. 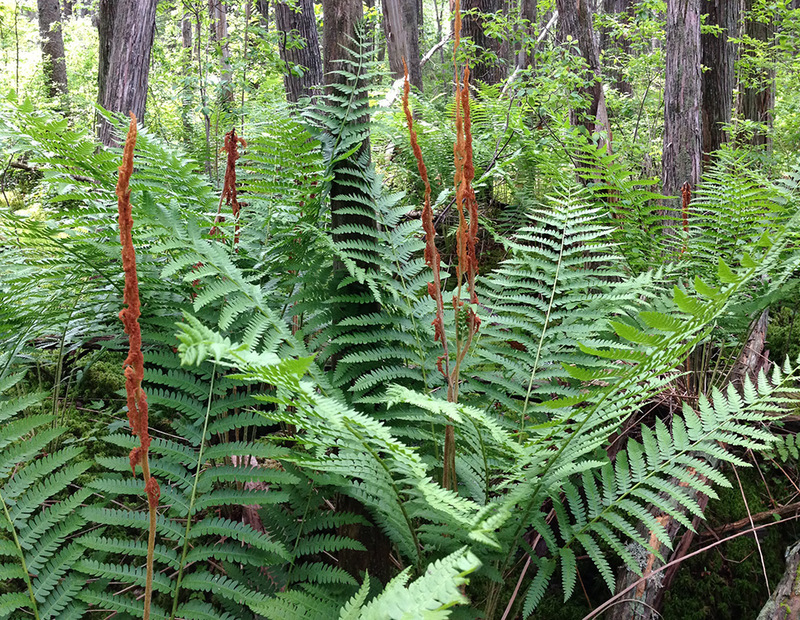 Specifically, there is something about the northern wetland forest scent that gives its own character. 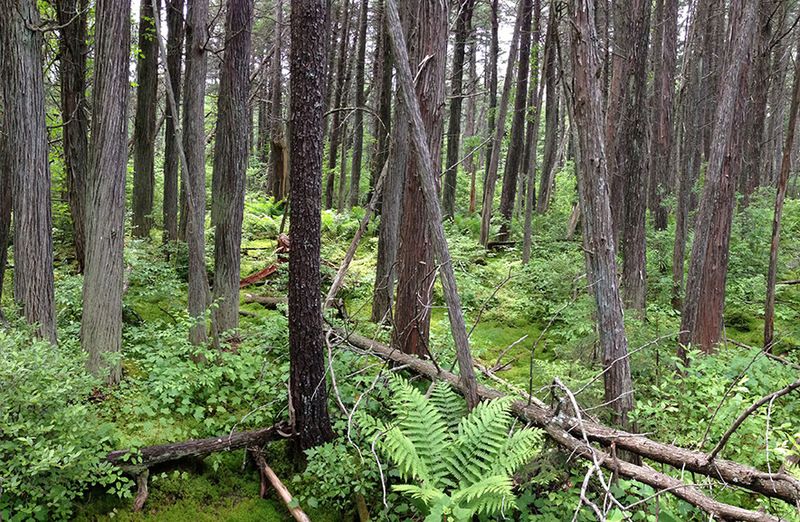 A dense stand of Atlantic whitecedar with spruce, larch, and patches of sphagnum moss on the swamp floor. Really. If I could have a soap that provides the scent on my skin at this moment, I would constantly be reminded that I was in paradise. 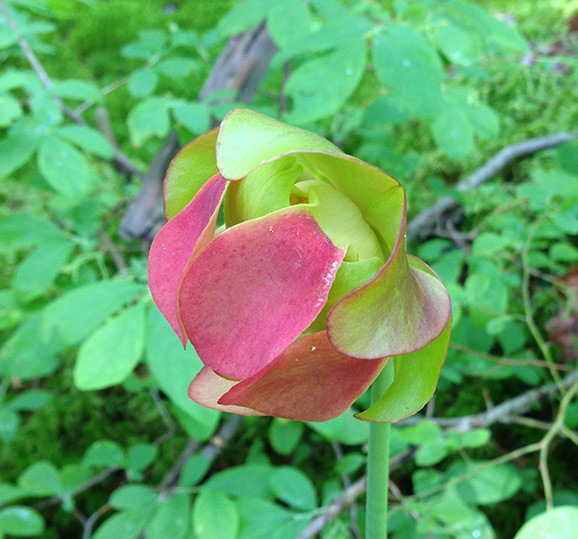 Next time you have the opportunity to visit a swamp – go! Go and bathe in its rich perfume. Should you prefer to not get your feet too wet, I recommend Shallow Lake in the Pigeon Wilderness in the Adirondacks or Saco Heath in Maine, 2015’s Best Overlooked Gem. 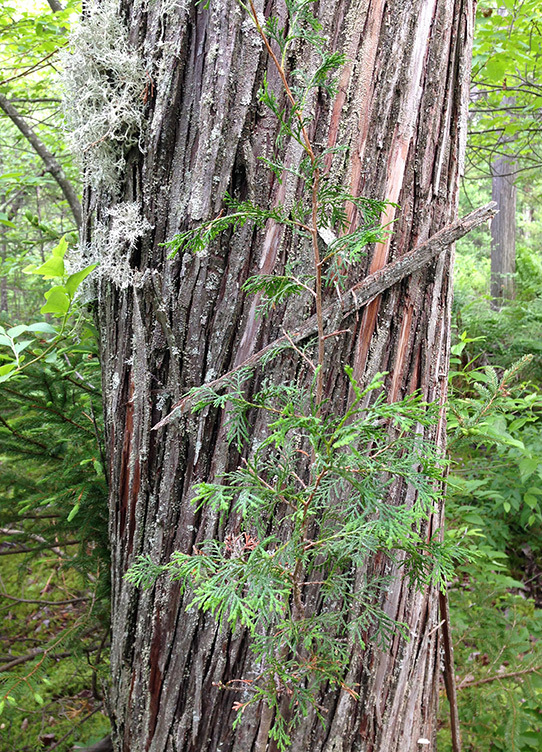 Atlantic whitecedar seedling. An unusual aspect of Westminster Swamp is the regeneration of Atlantic whitecedar. 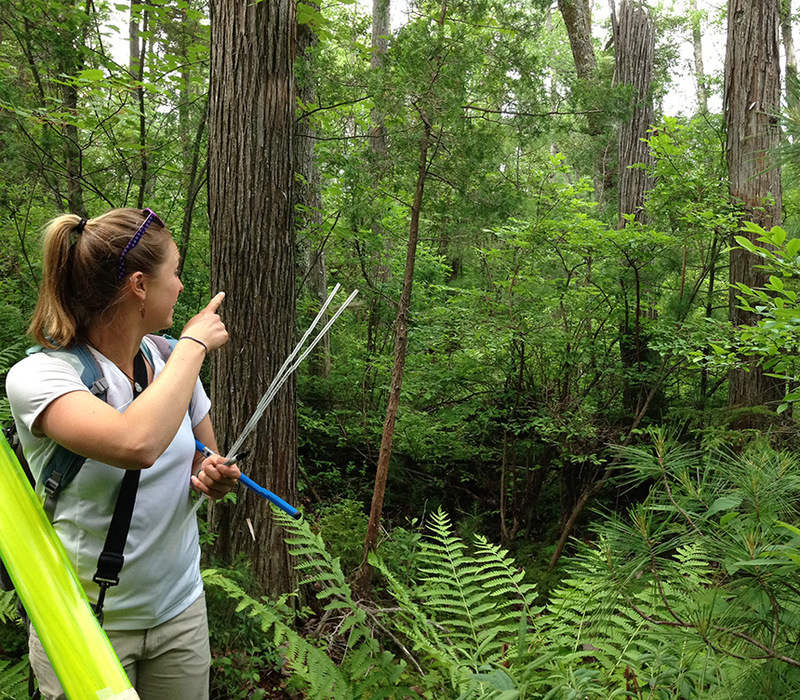 Here, Jessie is pointing out the unusual Atlantic whitecedar sapling. 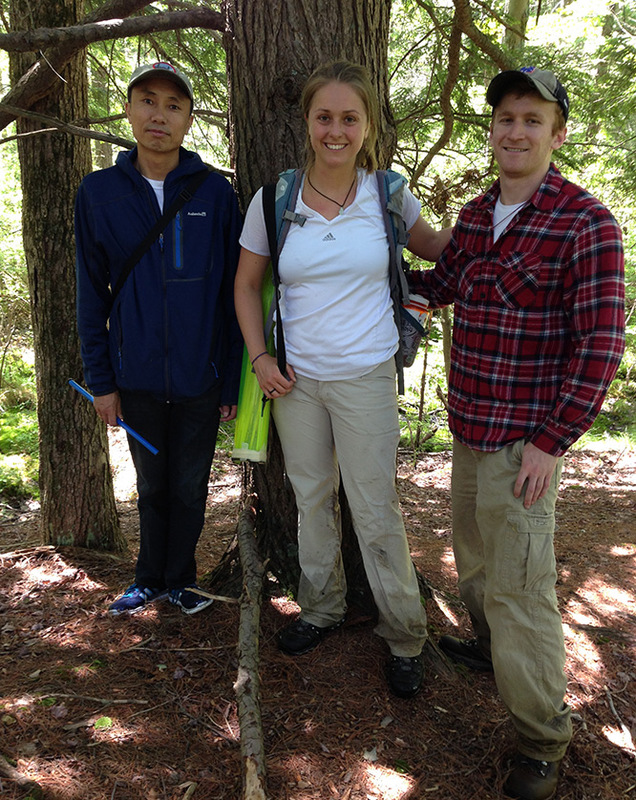 The June 2015 Westminster Crue: Kinley Tsershing (visiting student from Bhutan), Jessie Pearl (Ph.D. student of the University of Arizona and MIT), and Dan Bishop (research assistant at the Harvard Forest). 1 – An old publication on the biting insects in the Adirondacks.